Are you looking for Self Catering ? A warm welcome awaits you from Shona and Ali who took over this perfectly located Guest House in the heart of Stornoway town centre.Dating back to 1854, Hal O' The Wynd Guest House is situated opposite the ferry terminal in Stornoway. All rooms have a sea view and there is free Wi-fi throughout the building. The town centre is less than 2 minutes’ walk away, and you can stroll to the quay or visit the museum and nearby shops and restaurants. Stornoway Golf Course is only half a mile away. 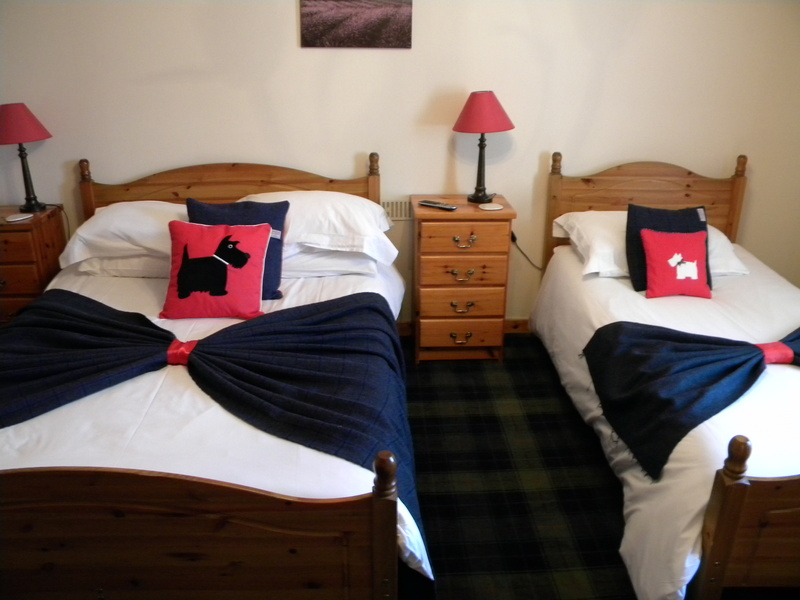 Rooms at Hal O’ The Wynd are traditionally furnished, with freeview TV and tea and coffee making facilities. As well as views of the sea, they look out over Lews Castle grounds and beyond to Arnish point. We have a varied breakfast menu including Gluten free options which is served in the charming dining room.